The apartment had everything that we needed and the location was very good. On the beach, a play park next to us and round the corner from a supermarket. The flat was spacious with windows both at the front and back, allowing plenty of light. The lounge was large with dining table for six (no. of chairs) or more,a large sofa and two easy chairs, flat-screen TV with all necessary equipment for DVDs etc., hifi and an interesting selection of books (e.g. on Ostend and James Ensor, Flemish literature/fiction, etc.). The kitchen was compact with plenty of cupboards full of all imaginable necessities for the Belgian domesticated "bon vivant", masses of tea, coffee, different sugars, spices, cereals, etc. 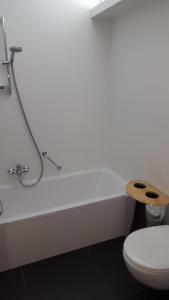 Bathroom was easily large enough and functional. Of the two bedrooms, one was very much larger; the other, while smaller, was well arranged with plentious wardrobe space. One of the more important pleasures of staying in the flat on the Zeedijk was the peace; we barely heard a floorboard squeaking from the neighbours. Walking into town, or the opposite direction towards the Mariakerk and (original) Atlantic Wall, was fabulous. Alles was in orde,proper, voldoende huisgerief, gezellig , gemakkelijk bereikbaar, winkels in de buurt. Eine prima Unterkunft mit wirklich allem, was man braucht. Komplett ausgestattet und wir haben nichts vermisst. Sehr netter Kontakt zum Vermieter und seinen Leuten. Wohnungsübergabe und Endabnahme problemlos. Alles in allem wirklich empfehlenswert. Kostenloses WLAN,bei Problem guter telefonischer Vermieterkontakt,Strand direkt von der Tür & Meerblick,Trampelpfad Station und Geschäfte/Apotheke in unmittelbarer Nähe. Tolle Lage, direkt an der Strandpromenade. Viele nette und gute Restaurants. Lock in a great price for Appartement aan Zee Oostende – rated 8.2 by recent guests! 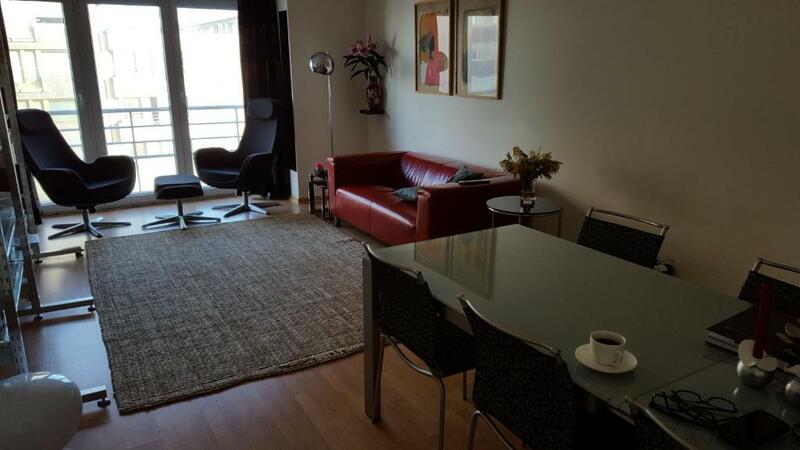 Appartement aan Zee Oostende is located on the beachfront in Ostend. Guests can enjoy a panoramic sea view from this apartment. The property is 1.4 mi from Casino Kursaal and 2,650 feet from Wellington Track. Equipped with a TV and a seating area, the apartment also has a DVD player. Guests can prepare their meals in the well-equipped kitchen which includes a microwave and an oven. The bathroom is installed with a bath. Appartement aan Zee is 500 feet from the coastal tram line which runs along the entire Belgian coast. If you feel like visiting the surroundings, check out Leopoldpark (1.3 mi) and Mercator Ostend (1.5 mi). Oostende Center is a great choice for travelers interested in restaurants, food and gourmet food. 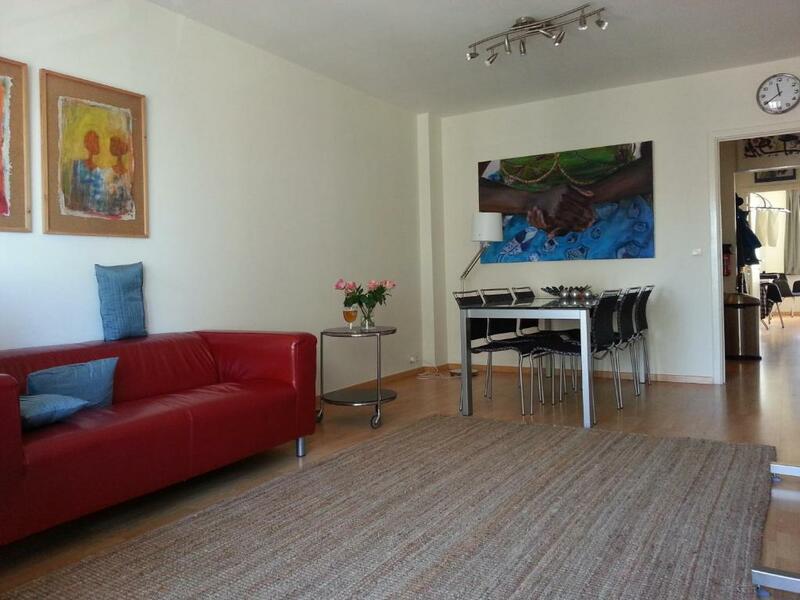 When would you like to stay at Appartement aan Zee Oostende? 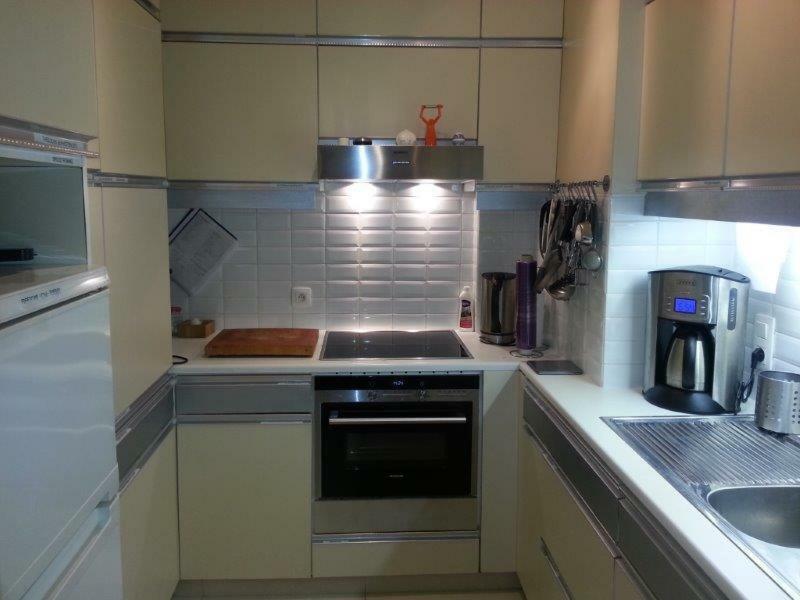 This apartment features a tile/marble floor, kitchenware and oven. 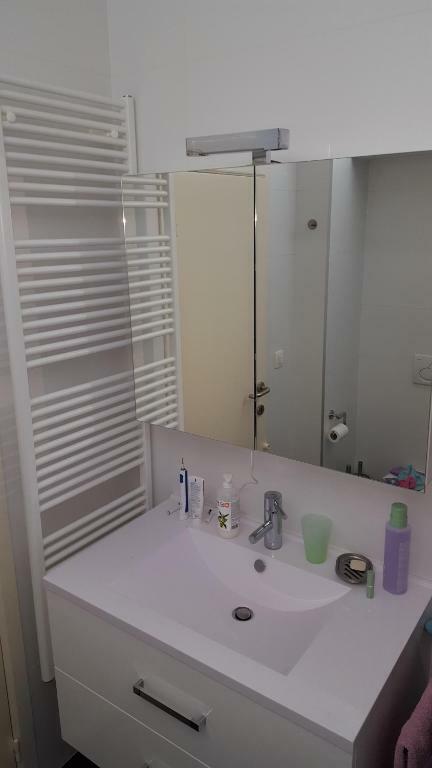 Appartement is voorzien van alle gemakken. Moderne en kunstzinnige inrichting. Het gehele complex is volledig gerenoveerd. Appartement is gesitueerd in Mariakerke Oostende. De rust van Mariakerke en het centrum van Oostende op 2 km afstand. Met de tram, te voet of per fiets. Area Info – This neighborhood is a great choice for travelers interested in restaurants, food and gourmet food – Check location Great location - show map Guests loved walking around the neighborhood! House Rules Appartement aan Zee Oostende takes special requests – add in the next step! Please note that electricity bill is included in the rate. Please note that bedlinen and towels are not included in the rate. Please inform Appartement aan Zee Oostende of your expected arrival time in advance. You can use the Special Requests box when booking, or contact the property directly using the contact details in your confirmation. The beds; the mattresses were pretty hard.